That Business Show weekdays at 8am on 1250 WHNZ and streamed live on the internet at http://www.tampabayradio.com. Please connect with me at twitter @Jamie_meloni and look me up on Facebook at facebook.com/thatbusinessshow for all the show updates and upcoming guests. 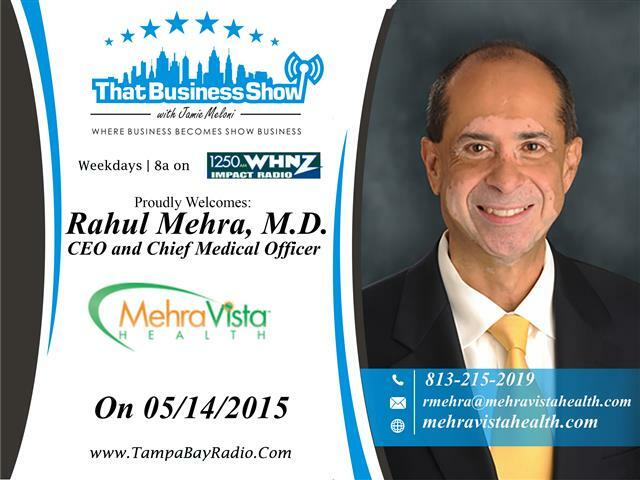 On the first half of the show, I welcomed Dr. Rahul Mehra, Chief Medical Officer and CEO of Mehra Vista Health. Dr. Mehra has an extensive medical background and is a board certified adolescent and adult psychiatrist and a 1992 graduate of the USF Morsani College of Medicine Department of Psychiatry residency program. We spoke today about MehraVistaHealth, LLC and the assistance and services this company offers to employees ranging from stress management to drug/alcohol counseling and grief assistance. Through the companies employee assistance programs, MehraVistaHealth is able to assist employers in reducing labor costs by up to 25% through increased productivity through these counseling assistance programs. We touched on the company’s history and launch and discussed some of the issues facing the work force today including the effects of stress and the importance of proper health and exercise in controlling the negative effects of stress both at home and in the workplace. Employers interested in learning more can review many of the FAQs at http://www.mehravistahealth.com and can reach out to Dr. Mehra at 813-215-2019 for more information on setting up an employee assistance program within their organization! 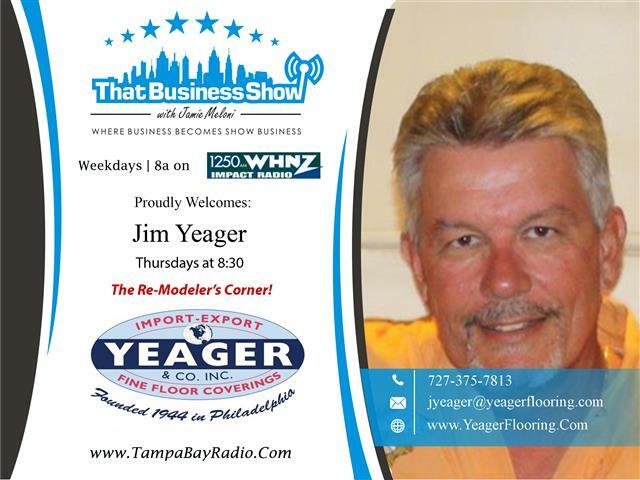 The 2nd half of the show was The Remodeler’s Corner, brought to us by Yeager and Company, a 3rd generation flooring and remodeling company based in Odessa, FL and founded over 70 years ago. 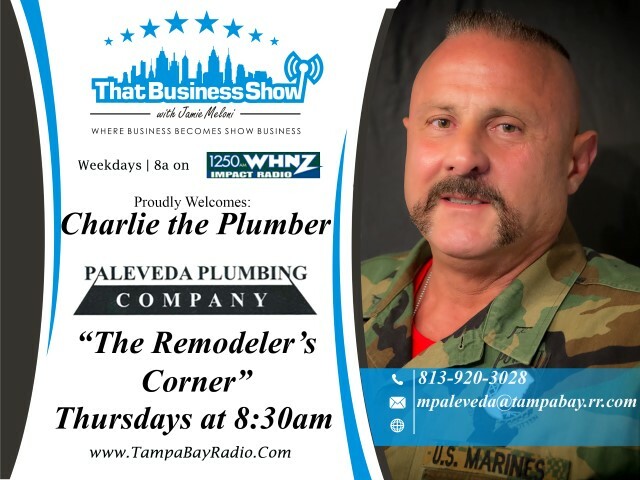 Charlie the Plumber joined us in studio and Jim brought in his background check specialist, Patrick Lee with PDK Investigations. After a costly mistake resulting from an inferior background check service, Jim sought out the services of a licensed private investigator to assist in their background checks of employees and sub-contractors that they use in their business. Patrick explains to us that as a Private Investigator, he has access to many databases that the Internet based services do not and his searches are much more detailed and in depth. Patrick has an extensive 20 year career in private investigations and served in Law Enforcement prior to that in Charleston, SC and is well versed in the field of security. Learn more at http://www.investigationstampa.com on his services and be sure to visit http://www.yeagerflooring.com for all your flooring and remodeling needs!